Trenton, SC 29847 Contact Jay Summer 803.991.3157 for more information. Trenton, SC — The Episcopal Church of the Ridge is participating in Johnston’s Peach Blossom Festival on Saturday, May 5. The church is setting up a tent to sell Watsonia Peach Ice Cream and bottled water. All proceeds will be donated to the Johnston Food Bank. Comprised of Our Saviour Episcopal Church in Trenton, Grace Episcopal Church in Ridge Spring and Trinity Episcopal Church in Edgefield, the Episcopal Church of the Ridge provides ongoing support for food banks in Johnston, Saluda and Ridge Spring. “Regardless of where we worship each week, the Episcopal Church of the Ridge actively seeks to improve the welfare of our communities,” adds Schwarz. Other outreach ministries include providing pet food for the Edgefield Senior Center’s Meals on Wheels program, adopting families for Christmas and donating start-up kits for children entering foster care. In addition, the church’s Daughters of the King order works with Mt. Calvary Lutheran Church in their Backpack Program to provide students of Douglas Elementary School with much-needed food over the weekend and with Women In Unity Daycare. 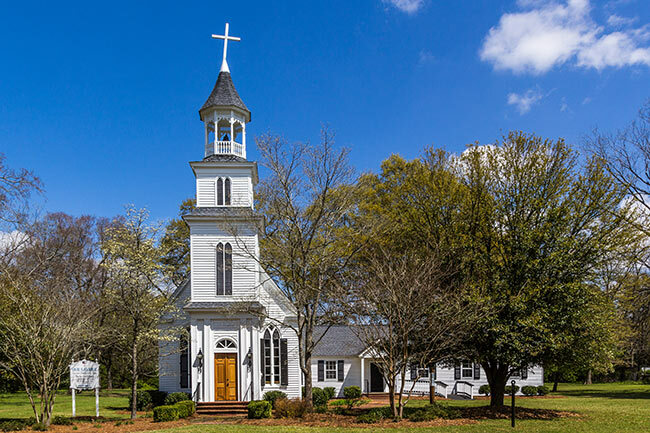 The Church of the Ridge, a self-sustaining mission church, is a member of the Diocese of Upper South Carolina and the Worldwide Anglican Communion. Those interested in learning more about the Episcopal Church of The Ridge can find us online at churchoftheridge.org, on facebook at facebook.com/episcopalchurchoftheridge or by calling us at 803.275.3934.